The perfect mug for the bullet journal enthusiast! 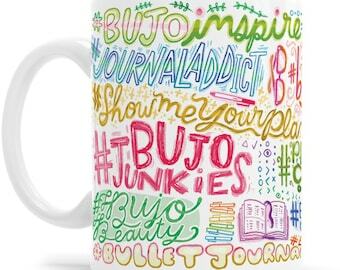 Share all of your neatest layouts with the help of this handy hashtag mug. 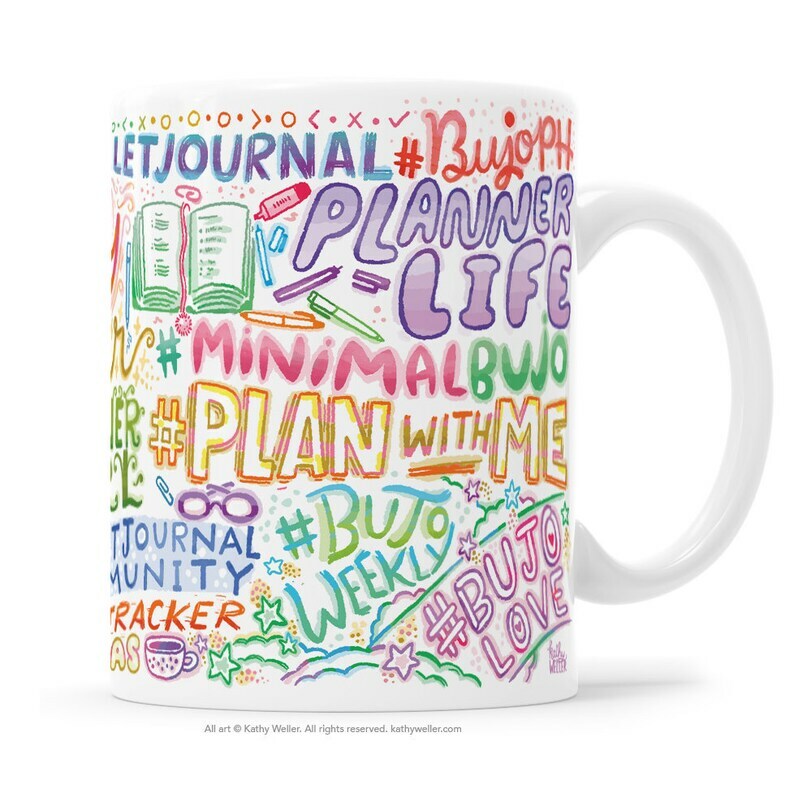 Never forget a bujo hashtag again! This is a high-quality, white ceramic mug, dishwasher and microwave safe. 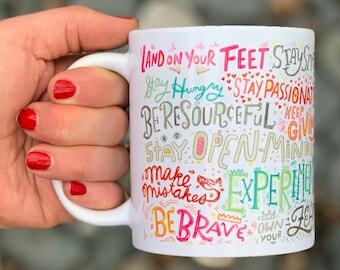 This mug features a horizontal hand-lettered illustration that WRAPS AROUND the entire length and width of the mug. Choose 11 oz. or 15 oz. 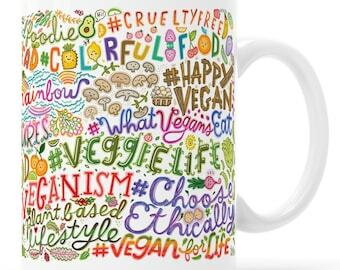 I am an independent artist and ALL of my mugs and products feature original designs created by me and ONLY me. No clip art, no fonts. All original hand lettering and original illustrated designs. They are special unique gifts from the maker to you, that you won't find anywhere else. Celebrate originality!! I can include YOUR personal message to the recipient on the packing slip! Simply type it in "Notes To Seller" at checkout. All art and designs in the Kathy Weller Art+Ideas shop © Kathy Weller Art+Ideas. All rights reserved.